The most prized of all Wild Berries are plump and purple Huckleberries. Huckleberries grow wild in Northwestern United States. Local pickers compete with bears for the crop. Huckleberries sell for $15-30 per gallon of berries and in lean years up to $50.00. Huckleberries have never grown commercially, so because of this, they are natural food, as no fertilizers or pesticides are used and are naturally organic. During WWII British pilots ate Huckleberries (another name Billy Berries) before night flights to enhance their vision. Huckleberries are used by nature practitioners to treat sugar diabetes and disorder of the kidneys and bowels. Huckleberries contain tannins, and anthocyanin, which improve vision, and stimulate circulation, thereby strengthening capillaries to reduce the risk of heart disease and lower cholesterol. 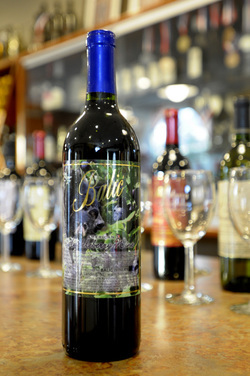 Balic Winery is producing pure Huckleberry Wine in limited quantities and cannot guarantee availability, as we are dependent upon the availability of the Berries.